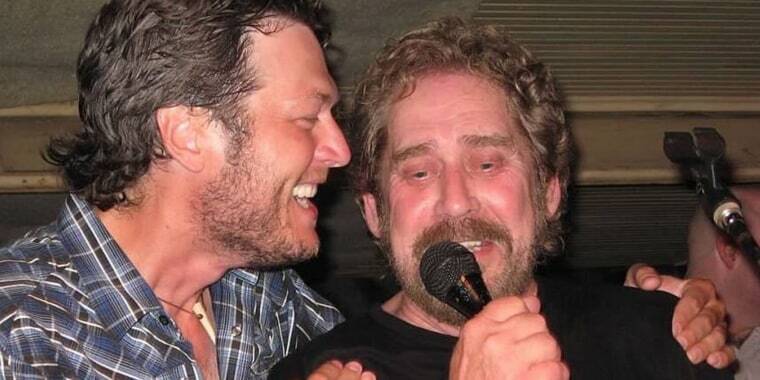 The country music community is mourning the death of the singer-songwriter, including Blake Shelton, who called Conley his favorite singer — and a friend. Country music singer Earl Thomas Conley has died at the age of 77, and the loss has hit one of his biggest fans particularly hard. On Wednesday, Blake Shelton took to his social media accounts to share the sad news with his followers and to express the extent of his own grief. "My heart is absolutely destroyed today..." Shelton wrote. "I’m sad to report that Earl Thomas Conley passed away very early this morning." Conley co-wrote Shelton's 2001 track "All Over Me," but like many other country hit-makers of today, the 42-year-old's admiration for Conley began long before that. The Nashville-based star launched his career in the 1970s, and went on to release 10 studio albums and more than 40 singles — of which 18 rose all the way to the top spot on Billboard's Hot Country Songs chart. Known for hits like "Holding Her and Loving You," "Once in a Blue Moon" and "Fire and Smoke," Conley gained many faithful fans. "Earl was my all time favorite singer, hero and my friend," Shelton explained in his Instagram post. "Prayers to his family. We will all miss you deeply my brother. Now go rest..."
According to the country legend's brother, he suffered from a dementia-like ailment and had been in hospice care for months. "He just kept losing ground," Fred Conley told the Tennessean. "I'm brokenhearted." That sentiment, clearly shared by Shelton, was repeated as news of Conley's death reached other country music greats. Even Shelton's pop star partner, Gwen Stefani, took a moment to honor the late singer and credit her boyfriend for introducing her to his music.